dopl3r.com - Memes - [SARCASM] @sarcasmmeme @sarcastic_us Looking at your ex and thinking to yourself... Was l drunk that whole relationship? 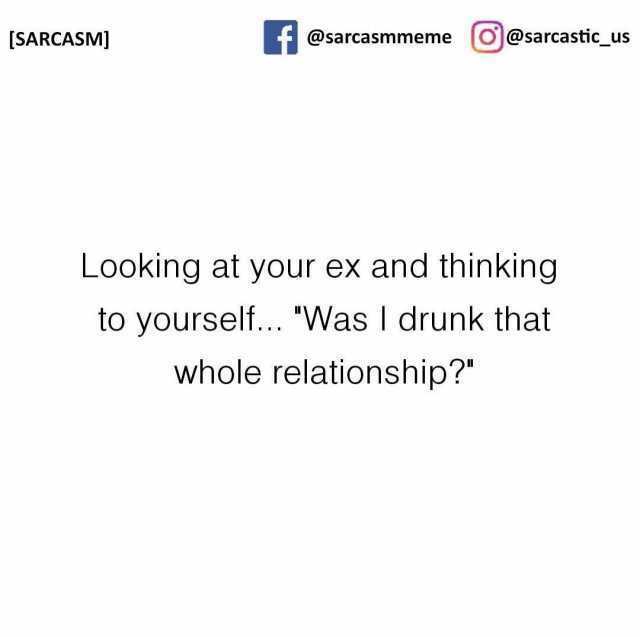 [SARCASM] @sarcasmmeme @sarcastic_us Looking at your ex and thinking to yourself... Was l drunk that whole relationship? My kind of relationship wanna come over and nap?